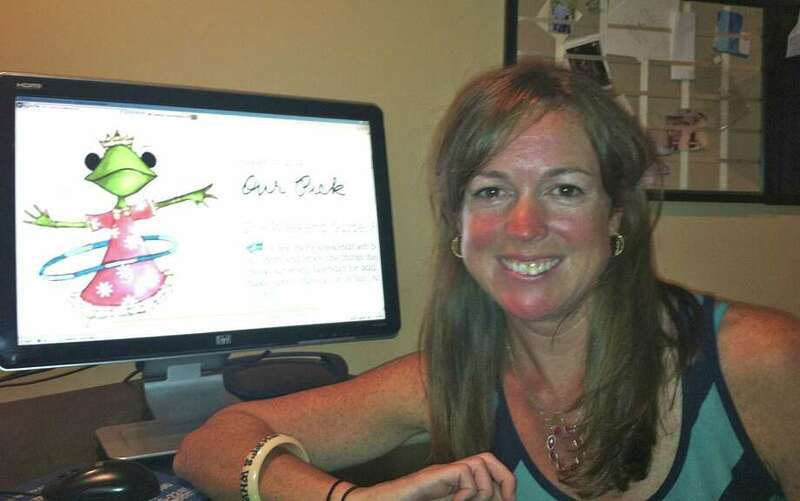 New Canaan mom Megan Stanley recently launched the New Canaan-Darien branch of Hulafrog.com which she hopes will be the go-to site for parents. Life as a parent in New Canaan and Darien can be pretty hectic. Wrought with social events and responsibilities, it can seem like an endless cacophony of things to keep track of and organize. One New Canaan mother thinks she has the answer. Part necessity to get back to work after raising her fourth child and part project to help her feed her hobby/second career as a Web calendar keeper, Megan Stanley has launched what she hopes will be the go-to site for parents who are looking for resources to help them with their parental duties. The former Wall Street worker has launched the New Canaan-Darien branch of Hulafrog.com, a national online portal that prides itself on being the place to go for suburban moms and dads to keep track of events, find businesses and local events. Started by two suburban New Jersey mothers last year, the site has grown to 25 locations around the country and continues to gain popularity. "All the moms are home with their computer or they are out with their phone or with their iPad," Stanley said. Stanley said in the past, parents would have to flip through several different parenting newspapers and magazines to find activities to do with their children, or search through a phone book to find businesses to cater to their parenting needs. Hulafrog serves as a one-stop online place where they can find all the information they need on one website. In addition to finding a monthly calendar of events such as children's concerts, plays and museum exhibits, parents can find information on schools, summer camps, or services provided for birthday parties, such as petting zoos and clowns. In addition, subscribers to the site can sign up for free weekly emails and Top Ten lists to keep track of events. "It takes some digging to find out what's going on," Stanley said. "It's great to go to one site and find everything, and it's something I wish I had when my kids were younger." A New Jersey native herself, Stanley used to work in a Wall Street publishing firm, where she was responsible for updating the firm's online calendar for investors and traders. Later she moved to New Canaan with her husband, and after having four children, she decided it was time to go back to work. She heard about Hulafrog franchises and decided it would fit her two needs -- to work and continue to be a stay-at-home mom. She began a training program on April 15, and since then she has been busy gathering information about local businesses before going live on July 1 with the site. Since going live, she has gathered about 200 subscribers and 500 businesses. "I think it's the perfect setup for me," she said. "I was just thinking that I should think of what I want to do, and going back to finance wasn't really going to work. All the businesses are kid-friendly and my kids can come to my `business meetings.' It's very flexible for me." The site makes its money through advertisers and businesses that pay to be featured on the site, making the service free to subscribers. In addition, subscribers can post in real time their opinions about a business or an event. "The idea is to make it interactive so the businesses can connect with the parents, and the parents can connect with the community," Stanley said. "I want to be the go-to place for all the moms in our area. Everyone will have Hulafrog on their iPhone or their computers." John H. Palmer is a freelance writer.